Mobile homes evolved out of necessity, as a solution for comfortable living and transportation with room to grow. 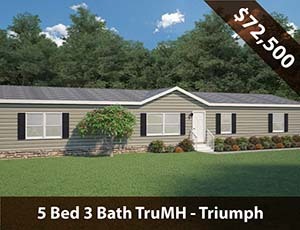 Since that time on, the mobile home model was ever changing, developing and improving. In 1976, the US Congress passed the National Mobile Home Construction and Safety Act, ensuring mobile home buyers that their choice of living was not only the most affordable but the safest on the market too. All of our mobile homes in Houston conform to the Housing and Urban Development Federal code and pass inspections at every step of the way. The HUD, an arm of the United States Government, set the laws into effect in 1974. 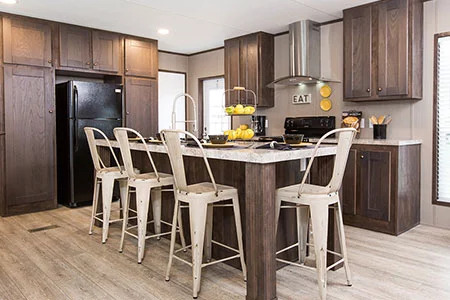 The HUD raised the former construction standards in design and performance so manufactured homes are safe and secure for the families living in them. Mobile homes have been labeled as being unsafe or not durable, but that couldn’t be further from the truth. 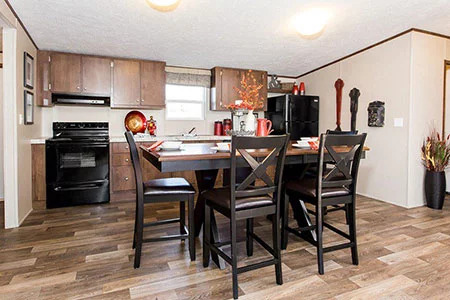 Federal and local regulations, as well as independent standards from manufacturers, are making mobile homes for sale in Houston safe and durable for years to come. Houston mobile homes also offer low cost per square foot and energy efficiency. Mobile home prices are much lower than average prices for stick-built homes when comparing similar sizes. 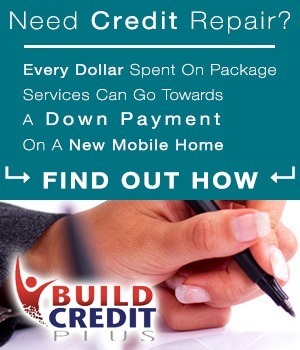 You can save thousands of dollars and get the same or more benefits by choosing mobile homes over stick-built homes. These savings come primarily from the construction and assembly of the home. 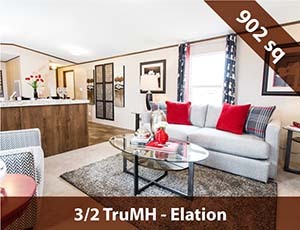 Mobile homes for sale in Houston are built to last in a factory setting, with climate control and checkpoint inspections. Bulk order and efficient use of the materials keeps the production costs low. Avoiding delays caused by multiple contractors or bad weather also helps your home be delivered much faster than building a new home. 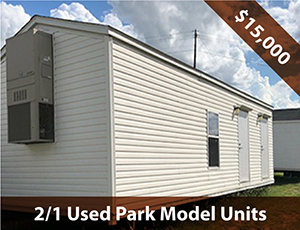 Another benefit of mobile homes in Houston is the many options you have for style and size. 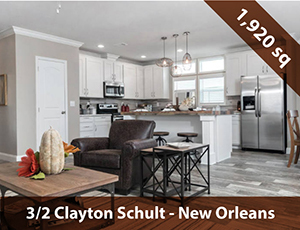 With homes ranging from under 800 square feet to over 2000 square feet, you can find the perfect size and layout for you and your family. 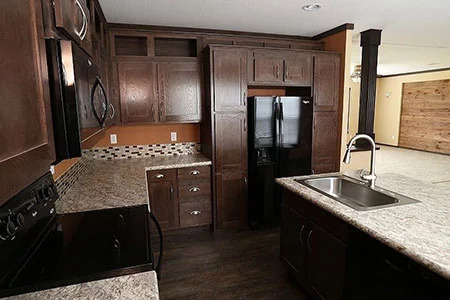 Each home model also has a list of features and add-on options you can use to customize your Houston mobile home just how you like it. We have mobile homes in Houston fit for families of all sizes and people from all walks of life. 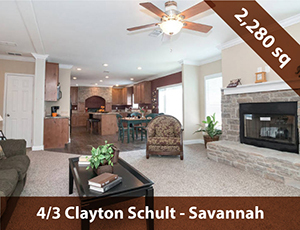 We are determined to help you find the home that works best for you and enhances your lifestyle. Don’t forget that your mobile home on land in Houston can grow in appreciation over time, just like a site-built home, building equity for the homeowners. If your home is permanently fixed on land, it is considered to be real property, and just like site-built homes, making them more valuable. This option comes with many perks as well. The land you place your mobile home on can save you money along with making you some. Your mobile home on land works as an investment in your future as well as your present. 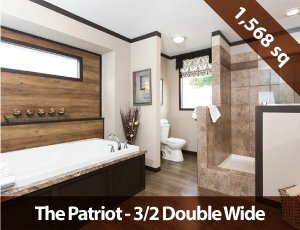 Your mobile home on the property and all the space that comes with it allows you to organize, add-on, and enjoy all of the extras for a fraction of what a site-built home would cost you. 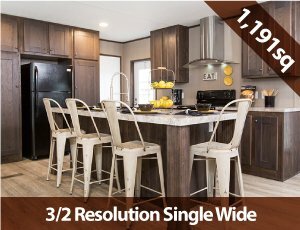 You can do more with your home for less! 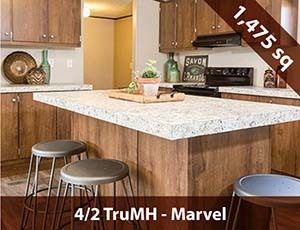 Join us at Alamo Homes today and take a look at the variety of homes we offer for Houston. Learn more about the luxury models, and how you can customize one you like. We’re available for questions, comments, and concerns. Reach us online or call us today to schedule a tour. 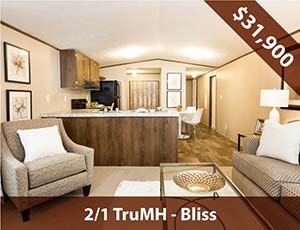 Don’t wait any longer for a beautiful, luxurious mobile home at an affordable price.